So happy that it is Friday! Since I started this blog, I’ve only been taken days off blogging on holidays. If I am not writing, I am researching about a topic or taking pictures. But starting with this week I decided that I should have a 9-17 schedule, Monday- Friday and the weekend off. It ended up being 10 – 22.00 many days but oh well, it’s worth it. From my working schedule and the activity on the blog, I made a weekly routine for my posts too. From now on, you can expect a published post on Monday, Wednesday and Friday, there may be an extra one during the weekend but it really depends on the material and what I stumble upon. Big tip right here, subscribe to my email updates so I can have your emails hahha, and for you to be updated with my blog activity (no spams, promise). This jeans jacket though.. It’s so me! I just love it and I will have to apologize in advance because you are going to see a lot of outfits with it in the future. Since I was a small girl I felt very comfortable dressing in a more boyish style with oversized t-shirts or wearing a cap but there are also times when I like wearing something tight with high heels and a nice shirt so basically, it’s all about my mood and purpose on that day. But this Spring, I am planning to enjoy my time outside in the sun with drinks and friends so that is why after many searches on different websites, I finally found it. 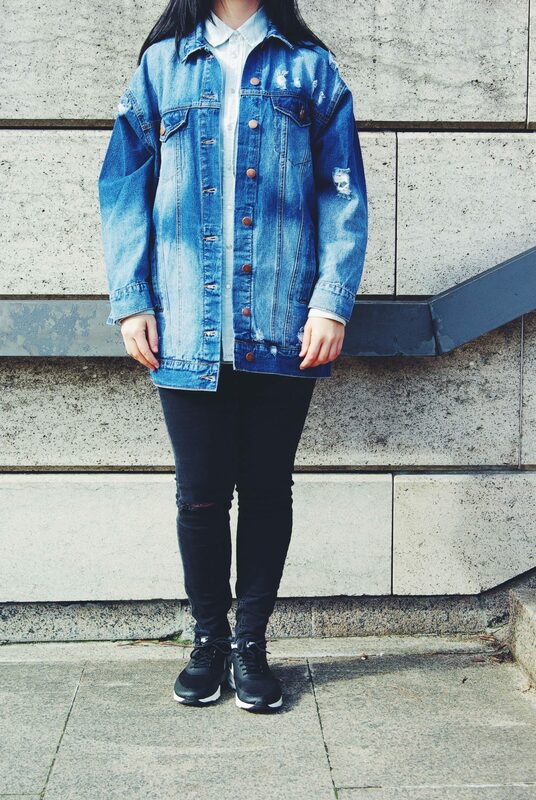 The oversized Denim jacket! 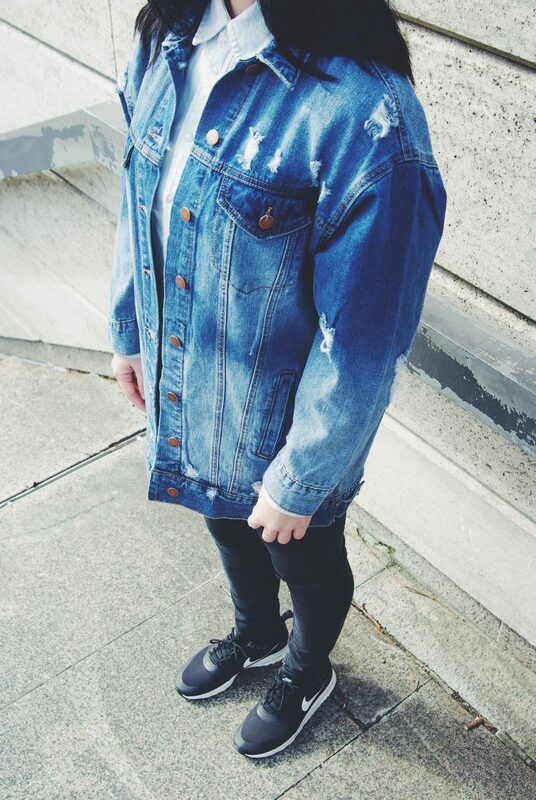 Denim Jacket (similar) HERE (mine is size S). 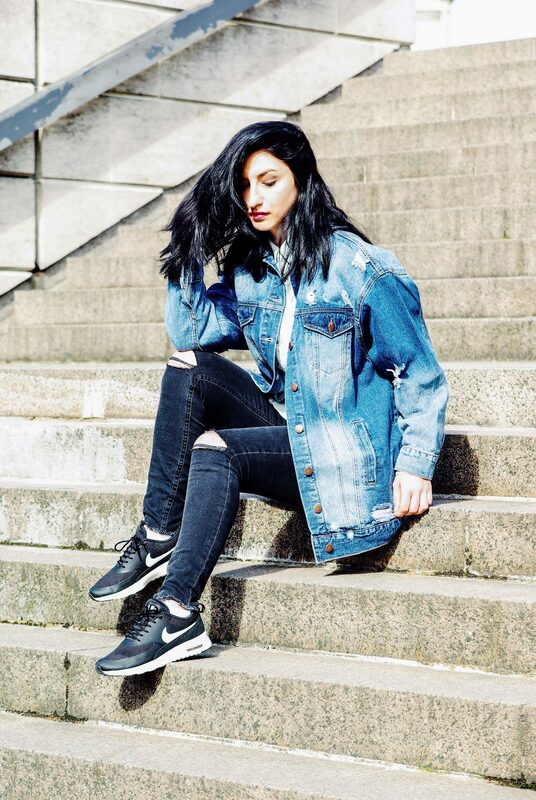 I am a bit disappointed in the market, I usually shop from brands that are appealing to all kinds of people, that are easy shop from and who ship all over the world but this time, I found tons of super nice jeans jackets but not all sizes. 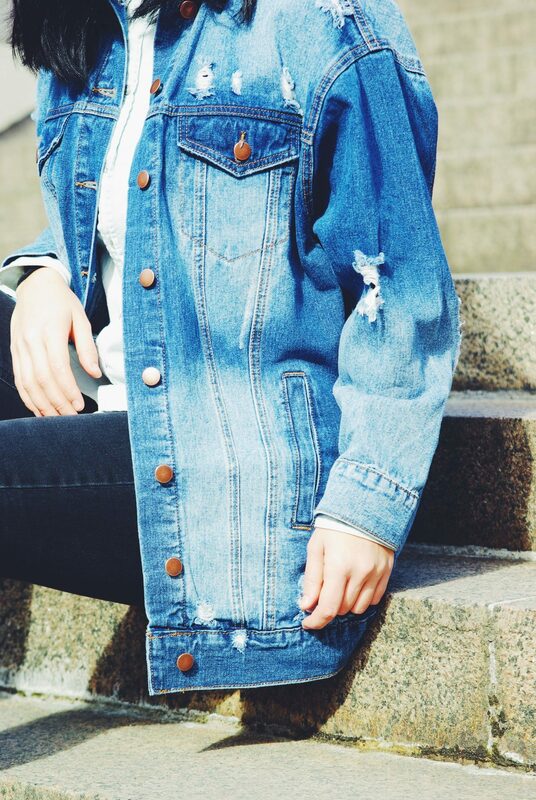 Denim jackets are super popular at the moment, versatile and great for spring but really hard to find in stock. Checking now at forever 21, I see the that jacket I bought 3 days ago is sold out which is sad but I found some other denim jackets for you, some that are similar and some a bit different in style. Hurry up and get them since they sell out super fast everywhere. Previous Post What to blog about – finding your niche!